Tandoori Nights - Best Indian restaurants in Hoddesdon, Hertfordshire, UK. Easily find & recommended local indian tandoori & delicious foods delivering to your door. 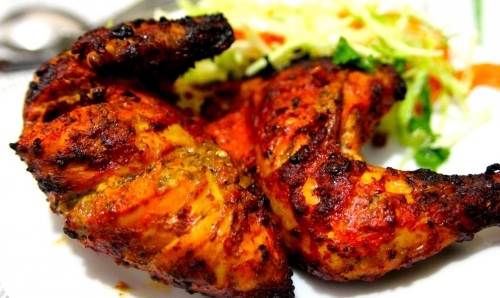 Tandoori Nights Indian Takeaway restaurants at Hoddesdone, Broxbourne, EN118ET. Offering free home delivery. Places that order food online or Call: 01992 446006. Absolutely gorgeous food. This is a takeaway (not restaurant) and I have never had better food/service than this. I have been to many indian restaurants/takeaways in the country and this is the best so far. All the dishes I had were very fresh and tasty. They serve indian/bangladeshi food and are willing to make a dish if it's not on the menu. I will definitely be ordering again next time I am in the area. It's Tandoori Nights, no doubt! Tandoori Nights deserves to get the honour of being the most reputed Indian takeaway in Hoddesdon. You can order food online or collect your food.